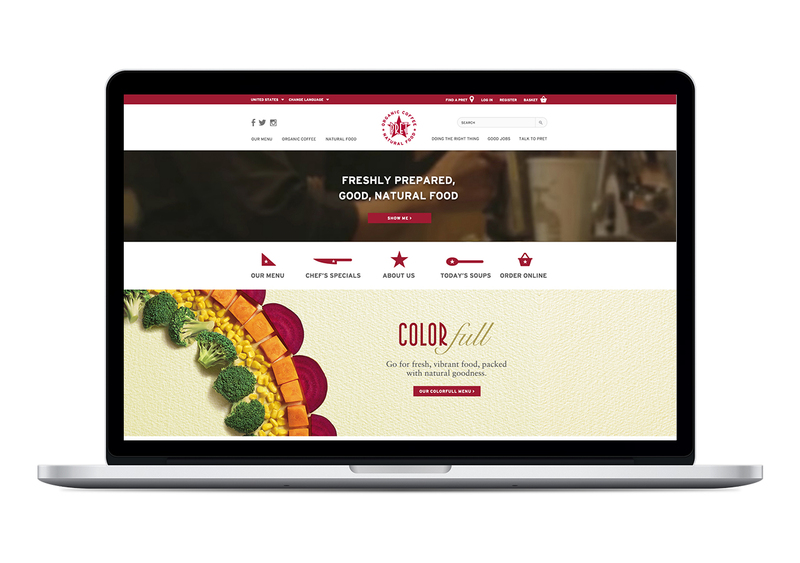 Page layout and design for the US version of the Pret site. 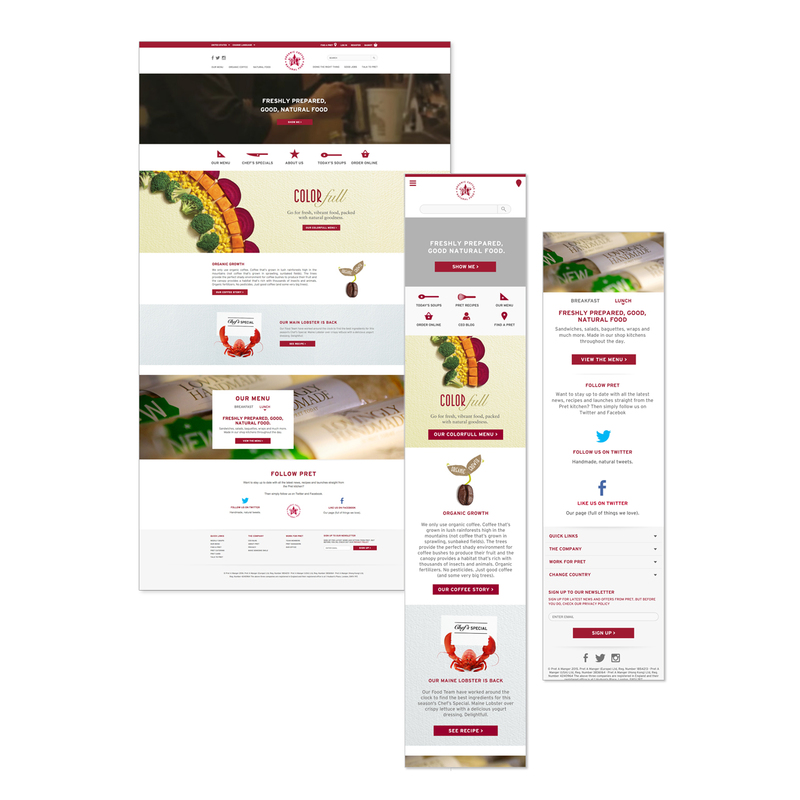 This involved creating banners for the main content sections based on the Pret in store posters. 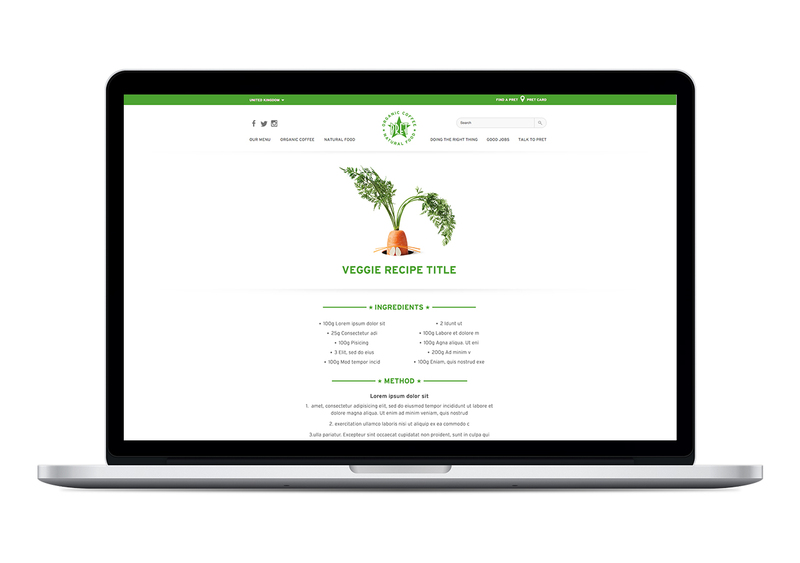 to come up with a new design for the recipe section of the Pret website. 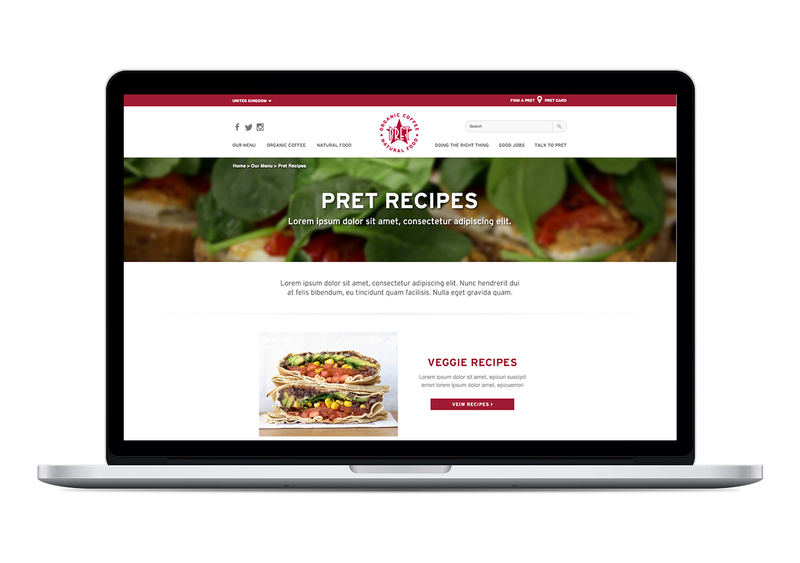 Pret had previously avoided using imagery of finished meals instead using their brand “DIY’s” made from raw fruit and veg. 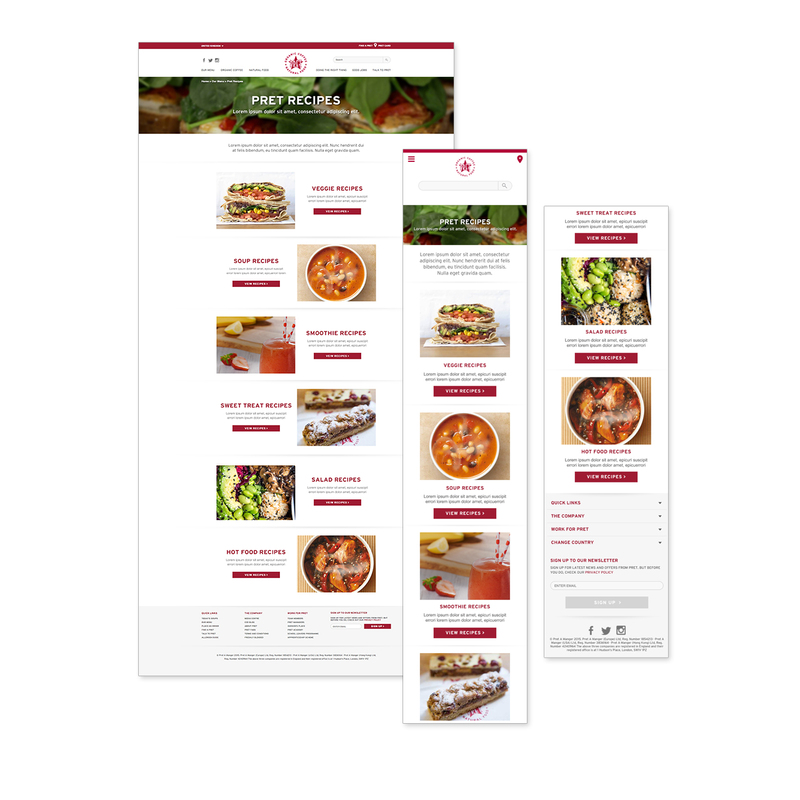 As well as creating a design based on their existing guidelines I also provided these design using images of the meals.